One thing we all seem to agree on: It's always best to pay less. I've shared a few of my strategies for finding cheap quality items over the past week, and various GRS readers have chimed in with theirs. But these tips and tricks are scattered across three articles comprising thousands of words. Today, I'm going to pull everything together in one place. Here's a compilation of this community's favorite ways to find quality products without spending a lot of money. As I mentioned earlier this week, I'm a lifelong fan of Consumer Reports. I subscribe to both the magazine and the website. (It's a business expense, so it's easy to justify.) Consumer Reports does a fantastic job of demonstrating how price and quality aren't always correlated. 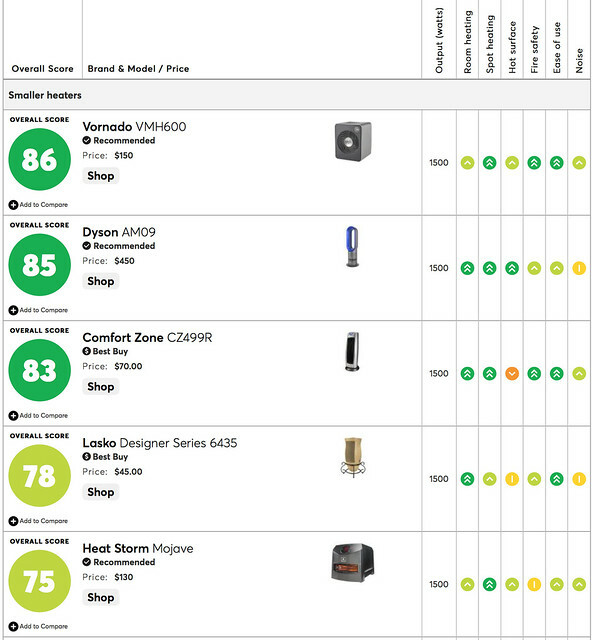 As you can see, an expensive Dyson heater ranks second on the list at $450. But the top Vornado heater is just one-third the price. And the fourth-place heater, which has decent quality, can be had for just 10% of the Dyson's cost (and one-third the cost of the top heater). While the Consumer Reports magazine is great, I like the website even better. It's easy to find whatever you want. You can sort products by different criteria. You can create comparison lists. And, best of all, each product has its own specific page (including reader reviews!). A subscription to CR online costs $35 per year. On those rare occasions that I shop for clothes, my first stop is always the clearance racks. This is true whether I'm in a high-end store or a discount retailer. Some stores, such as REI, have amazing clearance racks where you can find great clothes for as much as half off. The selection is usually relatively random — it's end-of-season stuff or unpopular items — but if you're able to find something you need, you can save big bucks. Those are my top tips for buying quality items for less. When I need to buy something, I check Consumer Reports first to narrow my options to top performers at reasonable prices. For products that CR doesn't cover (such as clothing), I look for clearance items. Several readers shared that they mitigate the cost of quality by intentionally choosing products that carry lifetime warranties. While this doesn't reduce that actual upfront cost of the product, it does mean that you'll never have to buy it again. (In theory, anyhow.) This sounds like a great strategy for organized people. Me? I'm not so organized. Maybe I should start a spreadsheet to track the things I own that carry lifetime warranties! At Fincon last month, I learned that I'm not the only fan of The Luxe Strategist, the blog about “personal finance for people who like nice things”. This site has a dedicated following among financial bloggers precisely because it tries to answer the question, “How can you buy quality items without spending a fortune?” Here are two Luxe Strategist articles related to our current discussion: A practical guide to shopping for high-quality clothes and How to find hidden gems at thrift stores. To wrap things up, I've got two final tips from an email conversation with reader RayinPenn. I am not a trained financial expert. I'm not an accountant, I'm not a financial planner, and I'm not a stock broker. What's more, I've made many many money mistakes on my own financial journey. As a result, I've always been reluctant to sit down with people and go over their budgets. In March, I spent a couple of hours talking with a friend about her financial situation. A few days ago, another friend asked if I'd be willing to meet with him in the near future to puzzle through his budget woes. And yesterday, I took three hours to chat about money with my friends Wally and Jodie. As always, I've changed names and certain identifying features in the story that follows. Unless I have explicit permission to share details, I do my best to protect people's privacy when I write about their intimate financial lives. Wally and Jodie have recently begun dating. He's in his early forties (and recently divorced); she's in her late twenties. They both work in food service, and have done so all of their lives. Their trouble — and the reason they asked me for help — is that they cannot seem to make ends meet. They work hard but never have anything to show for it. In fact, they feel like they're falling further and further behind. “Can you help us?” Wally and Jodie asked. This is a guest post from Travis Hornsby, founder of Student Loan Planner. I met Travis last year and realized he knows a lot about something that's a blind spot for me. I asked him if he'd be willing to whip up an article for GRS readers about refinancing student loans. Here it is! How would you like spending $4000 each year and have nothing to show for it? Sounds crazy, right? Yet that's exactly what happens when you find yourself buried in debt — whether it's credit-card debt or student loans. I had a friend who owed about $200,000 of student debt. He was paying everything back on the standard ten-year plan with the federal government. 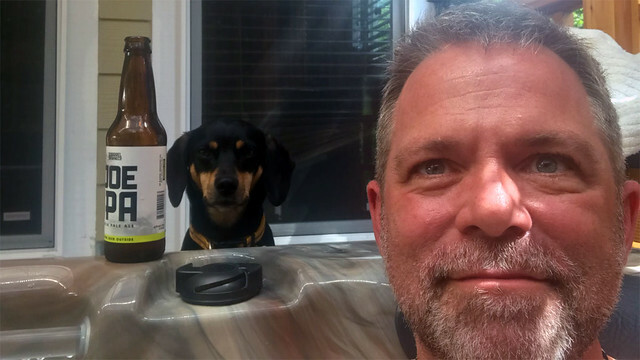 He knew there were other lenders out there that would allow him to refinance to a lower interest rate, but he wasn't sure there would be much of a benefit. After I convinced him to explore his options, however, he locked in a rate of 5% instead of 7%. In other words, he cut his annual interest costs by more than $4000. What could you do with an extra $4000 per year? Another buddy of mine got a letter in the mail from a major bank that convinced him to refinance his federal loans to a 4.8% variable rate. Not bad. But since he didn't shop around, he didn't realize he could have found a much lower rate! After some research, he went with another lender that gave him a variable rate in the low threes. Because he owed so much, he was able to save about $10,000 per year! Maybe you have only a modest five figures in student loans. Maybe you've got six figures that you need to pay back. Or perhaps you owe so much you think paying all your student debt off is not on the table. In this article, I want to give you a framework that will allow you can save thousands of dollars by not paying any more interest than necessary. Are You a Good Candidate For Student Loan Refinancing? The main reason to refinance student debt is to get a lower interest rate so you can pay it off faster. There are other benefits, though, like reducing the number of loans, getting a better student loan servicer, and committing to a clear plan of becoming debt-free. You can accomplish all of these secondary objectives while staying under the federal umbrella; the only thing you can't get is the lower interest rate. The first thing you need to find out is if it's smart to refinance your student loans. Besides having the right amount of debt relative to your income, you also need to be in a solid situation financially to take on a required monthly payment with fewer borrower protections than the federal government provides. Refinancing a student loan right after graduation isn't a bad idea. You should have at least $5000 cash in the bank and $0 credit card debt. If you aren't there yet, wait on refinancing until you've accomplished this. You'll also want to have a credit score of at least 650. Where Should You Shop For a Good Deal? Although it might seem strange, each lender targets a different demographic. Because of this, one lender might look at you favorably while another one might give you a worse offer because you're not their target customer. Some lenders prefer high-income borrowers so much that they'll intentionally offer a less attractive deal to anyone with lower than a six-figure income. If you'd rather just get a single option to search based on your circumstances, I also built a student loan refinancing quiz to help narrow things down. When you apply to any lender, you'll get an answer within a couple minutes if you're pre-qualified. That said, you still have to submit income documentation, answer questions about your savings and assets, and submit to what's called a hard credit check. This allows the lender to search your credit history for any negative events that could prevent them from extending you an offer. A hard credit check has a temporary impact on your credit score by knocking that score down a few points. It's similar to opening a credit card. If you shop around at multiple places — as long as it's done within a 30-day window — it'll only count against you once. The only reason to worry about the hard credit check is if you're about to buy a house within the next month. Other than that, you shouldn't worry. What Terms Should You Choose? 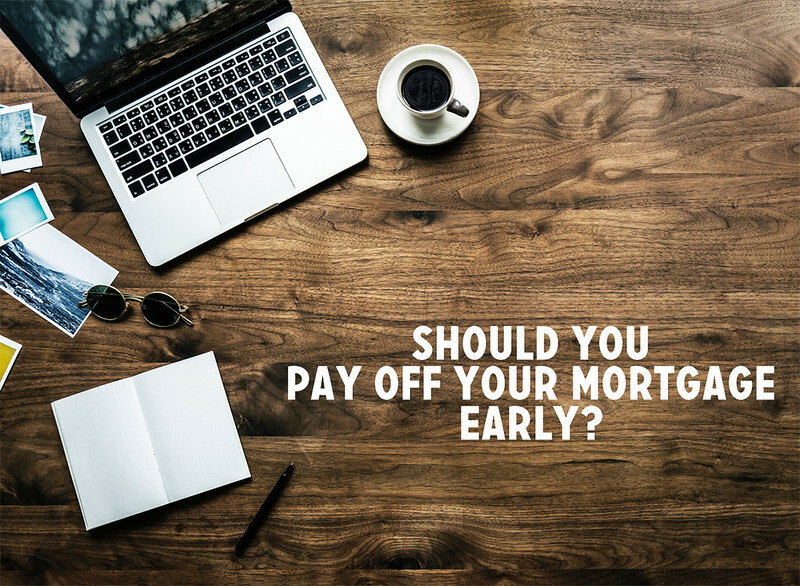 The shorter the repayment period, the lower the interest rate. While I like the five-year term because it ensures you'll get out of debt quickly, you should choose the term that gives you a monthly payment you're comfortable with. And here's something else important to remember: You can always refinance again if you find a lower rate. 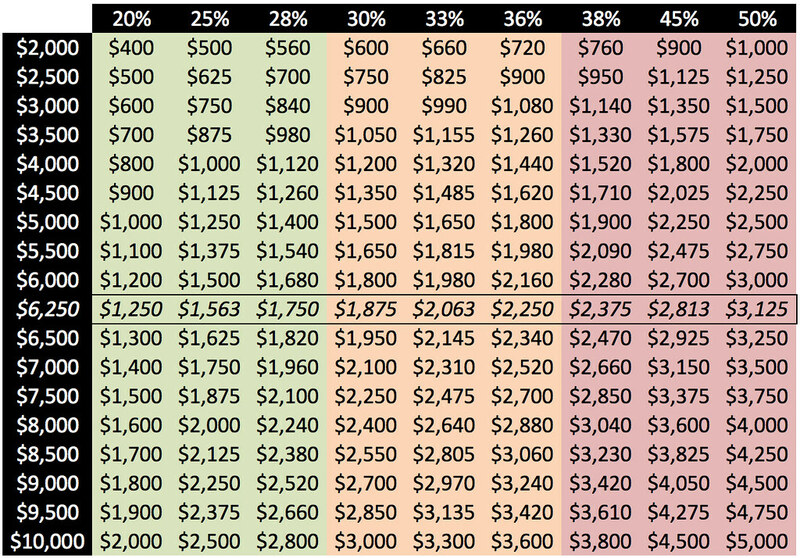 Many borrowers don't realize this, but I have a lot of friends and readers who take the approach of starting off with a 10- or 15-year fixed rate. This gives them a lower monthly payment. Then, once they're in a better financial position, they refinance to a shorter term (with higher payments). To illustrate, pretend Jimmy has a $50,000 loan at a 6% interest rate with the government. He makes $60,000 a year at a Fortune 500 company, so he owes less than two times his salary. That means he's a good refinancing candidate. If he chose a five-year term with a 3.5% interest rate, his monthly payment would be $910 a month. But maybe Jimmy isn't ready for that kind of monthly commitment yet. 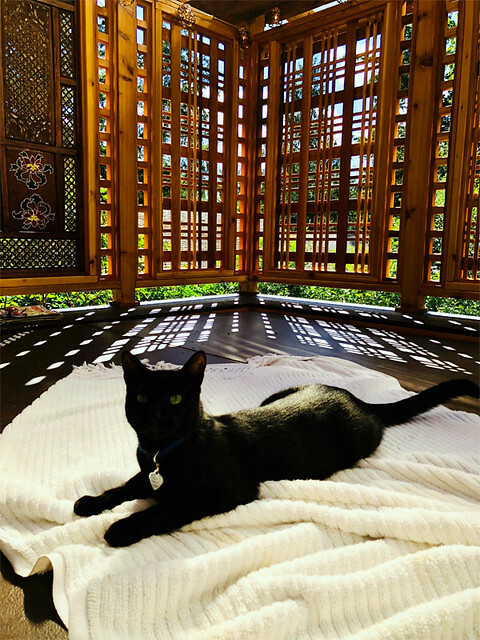 He could refinance instead to a 5% rate for a ten-year term at a monthly payment of $530 a month, which he feels like he is more psychologically comfortable with. After a couple of years, Jimmy could probably refinance again from a ten-year to a five-year loan. Pretend he made prepayments and now owes about $30,000. His new refinancing would be based on this new principal amount and thus he'd have to pay about $546 a month. There are a lot of folks out there who could save big bucks if they were to refinance their student loans. But remember: You only want to refinance if it helps you get a lower interest rate, not just to consolidate loans. A lower rate means more of your payments will go to principal and thus get you out of debt faster. Be sure to have your financial house in order first before signing up for big monthly payments with a private lender as the government is far more flexible. That said, you shouldn't pay extra money on interest without a good reason. The cats like the hot tub too, but only when the lid is closed. I suspect they'll live on top of this thing during the winter. You folks were 100% correct when you encouraged me to proceed with this purchase. I was anxious after having spent so much on remodeling the house during the first few months after we moved in. I didn't want to spend more. But you guys encouraged me to throw in one fun thing along with all of the needed repairs. It was the right move. We've had the hot tub for a month now, and I'm pleased to report that we're using the hell out of it. (Rumor has it than many people who purchase a spa don't use as much as they think they will.) 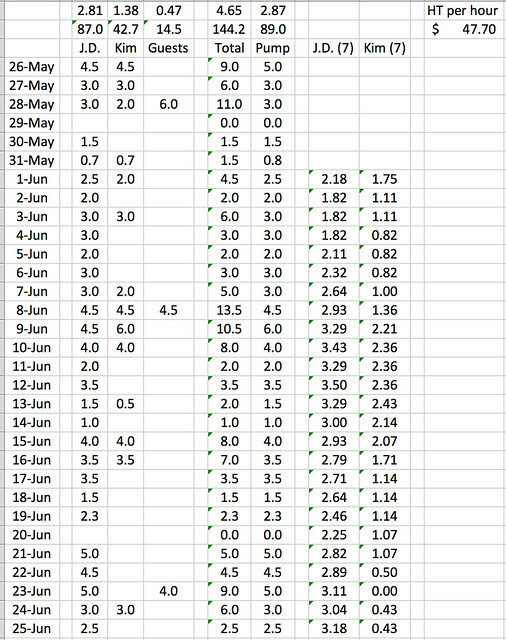 Because I'm a money nerd, every time I use the thing, I document my stats in a spreadsheet. “What in the world are you doing?” Kim asked the first time she saw me head to the computer after a three-hour soak. “I'm calculating how much value we get from the deck and hot tub,” I told her. She shook her head in disbelief. “You are such a nerd.” Yes, I am. Here, let me prove it to you. Here's a screen shot of our usage stats through last night. During the first 31 days we've owned the hot tub, I've spent 87 hours in it (for an average of 2 hours, 49 minutes per day). Kim has spent 42.8 hours in it (for an average of 1 hour, 23 minutes per day). When you count guests, the hot tub has enjoyed 144.2 soaking hours during its first month (or 4 hours, 39 minutes per day). I have zero clue how much electricity we're using. We haven't had a full month's bill yet. Plus, we'd need to compare it to the same month in the previous year, and our one-year anniversary of moving in isn't until this coming Sunday. That said, I know we paid $6800 for the hot tub, which means so far our cost per hour is $47.70. It'll take four years at this rate of usage to reduce our cost to a buck an hour. “You know,” Kim said the other night. 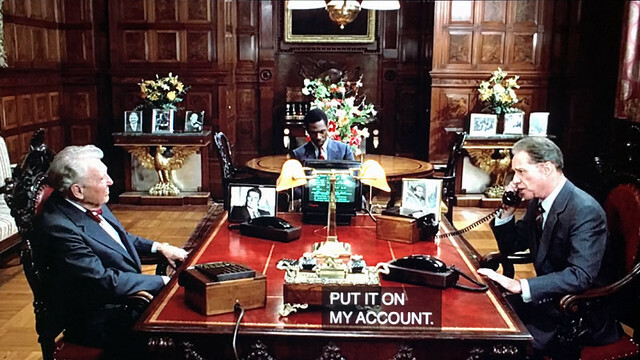 “You're the only person I've ever seen who keeps so many spreadsheets. Don't you think it's a little obsessive?” Well, maybe a little. At the same time, I know I'm not the only spreadsheet fan. Sure, I have spreadsheets devoted to finance and fitness. When I was dating, I had a dating spreadsheet. I have book spreadsheets. I have blog spreadsheets. If there's anything I want to track, I create a spreadsheet. But, as I say, I'm not the only one who does this. I have friends who do too. My ex-wife — whose birthday is today! — took a spreadsheet class several years ago and converted into a spreadsheet fan. And you know what? Get Rich Slowly readers, who are predominantly money nerds, are always telling me about their spreadsheets. I use my excel spreadsheets daily. I have pages from income-outgo by month, stocks owned and dividends expected, gifts given and birthdays, medical records, household inventory, special dates in my life, a tax sheet, a cars sheet, financial statement, address sheet, stock sold sheet, travel and cost sheet, a sheet for my 97 year old mother (I have taken over paying her bills), ebay sales sheet, a sheet of all the bills I have paid automatically, a sheet for the rental house next door, a misc sheet. April 2018 spending update: Did moving to the suburbs save me money? When Kim and I moved last summer from our riverfront condo to this country cottage on the outskirts of Portland, one of my primary aims was to slash our spending on both housing and food. Although we owned our condo free and clear, living there still cost us roughly $1200 per month. Plus, there were the added costs that came from living so close to bars and restaurants. Sure, we didn't have to eat out as often as we did — we understand that was a choice — but we enjoyed exploring what the neighborhood had to offer. Well, I've now had time to gather enough data to determine whether we were able to achieve this goal, to cut our monthly costs. I'm pleased to say the answer is “yes”! But for a few years, this gain is going to be completely negated by our massive home remodeling project. During the first four months of 2017, we paid an average of $1169.91 to live in our condo. Of that, $644.65 went to our HOA and utilities. The remaining $525.27 was spent on taxes and condo insurance. During the first four months of 2018, we paid an average of $472.55 to live on our house. Of that, $187.91 went to utilities and $284.64 went to taxes and insurance. Meanwhile, our eating habits have also changed. We don't go out to eat nearly as much as we used to. When we do dine out, we choose cheaper places. (Our current neighborhood isn't quite as hip as our old neighborhood.) Last night, for instance, we hit up our favorite pub. It cost us $54, and that's expensive for this neck of the woods. In our previous neighborhood, we'd often hit a hundred dollars when dining out. During the first four months of 2018, I spent an average of $477.33 per month on groceries and $332.01 per month on restaurants. That's a total of $809.34 per month on food. Let me be the first to point out that I spend a lot of money on food. I acknowledge that. This wasn't a weak spot in my budget back when I started Get Rich Slowly in 2006, but it certainly is today! That said, moving to the suburbs did indeed help me spend less on food. My grocery bills aren't down as much as I'd expected — only about 16% — but that's still saving me nearly $100 per month. Meanwhile, my restaurant spending has been cut nearly in half! Overall, my monthly food budget has declined by 28% (which is more than $300 per month). When we were planning for our move last spring, I wrote that I hoped my cash flow would improve by $1200 to $1300 per month. With the reduction in housing and food spending, I've saved an average of $1010.58 per month so far in 2018. When you add in Kim's monthly $500 “mortgage” payment to me, my cash flow has improved by $1510.58. I am spending about twice as much on fuel as I was before. During the first four months of 2017, I spent an average of $25.79 per month on fuel. So far in 2018, I've averaged $56.69 per month on fuel. Other than that, however, the move has had no adverse effect on my finances…except for the very expensive remodeling projects we've been doing. I haven't included the remodeling costs in the above numbers because they're not a regular expense. Trust me: I'm perfectly aware of how much I'm spending on home improvement, and it's caused me plenty of anxiety. But those costs aren't recurring, so I don't include them when calculating average monthly expenses. My cash flow has improved by $1510.58 per month. Our pre-deck (and hot tub) home improvement costs totalled $92,934.61. Of that, $59,000 came from selling the condo, which means we've had $33,934.61 in un-budgeted home improvements since moving in. We don't have a final tally on the deck and hot tub project (and won't for several weeks), but I expect it to be close to that $33,934.61. Based on these numbers, we can calculate how long it will take to recover the remodeling costs (compared with having remained in the condo). Dividing our $33,934.61 excess costs by my $1510.58 per month improved cash flow, we find that it'll take 22.5 months — just under two years — to compensate. And, of course, it'll take roughly the same amount of time to compensate for the deck and hot tub. 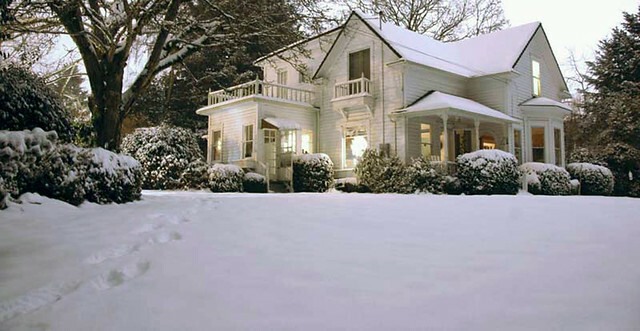 Translation for non-nerds: Moving from the condo to this house saved me just over $1500 per month. This savings has been temporarily negated by all of the home projects. But after about four years — assuming we find no further problems — we'll pass the break-even point. At that time, the move will become a financial win! Fingers crossed, my friends. Fingers crossed. The best way to spend less? Cut back on the big stuff! 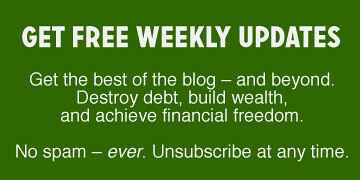 You don't need a high income to achieve Financial Independence. Making more money helps, sure, but if you're diligent about cutting costs, it's possible to reach financial freedom on even an average salary. I want you to meet my friend, John. John is an 81-year-old retired shop teacher. He's a millionaire — but you'd never know it. John started life as a carpenter. In his thirties, he went back to school to become a teacher. He spent the next twenty years teaching shop at a junior high school in a poor part of town. He retired to financial freedom at age 58. He never had a huge income and he didn't inherit a fortune. So, how'd he get rich? He pinched his pennies and doted on his dollars. John achieved Financial Independence by ruthlessly cutting costs. John doesn't live in a mansion. He lives in the same small ranch house he bought for $10,500 in 1962. He paid off his mortgage early, and has now lived in the place for 53 years! John doesn't drive a brand-new Mercedes or BMW. He drives a 1998 Chevy minivan he bought for cheap five years ago. It's ugly, but he doesn't care. It meets his needs and he has no plans to upgrade. John doesn't take lavish vacations. 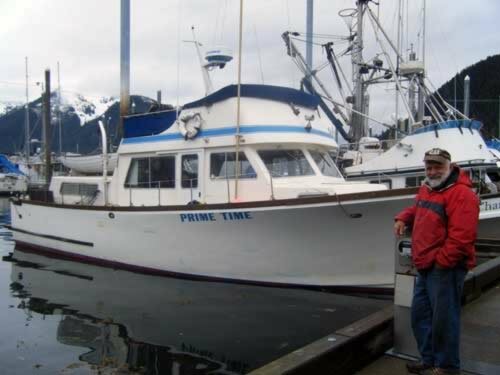 He spends his summers in southeast Alaska on an old 38-foot fishing boat that he bought with cash in 1995. He spends his winters doing volunteer work on farms and ranches in New Zealand. We're constantly bombarded by messages that wealthy people enjoy lavish lifestyles filled with luxury. From my experience meeting with dozens of millionaires over the past decade, this kind of lifestyle is the exception not the rule. Most wealthy people I know are like John. They're quiet millionaires. They practice stealth wealth.